Stalking wild Browns on in one of my favorite spots. 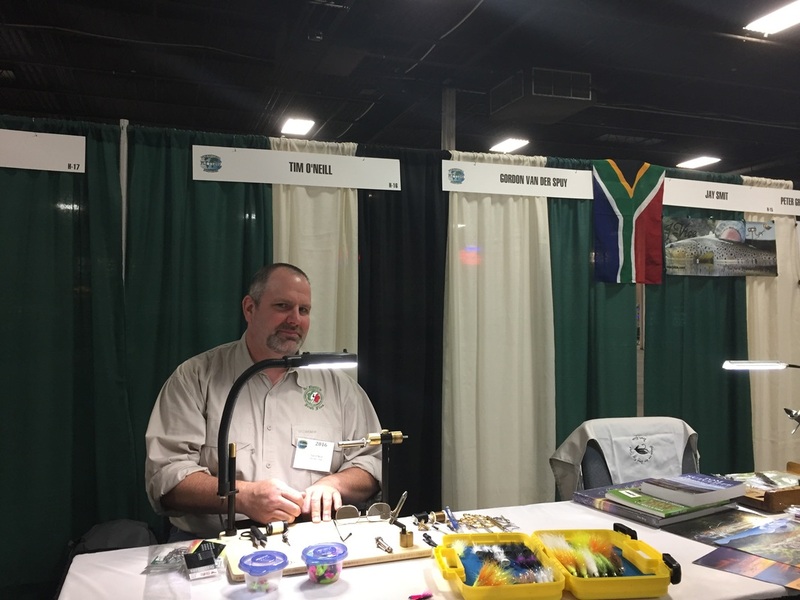 Me at the 2016 International Fly Tying Symposium. Some of my earliest childhood memories are of the outdoors. Growing up in northern Delaware my family lived the hunting and fishing lifestyle. I can vividly remember the first Deer I harvested at age 13. 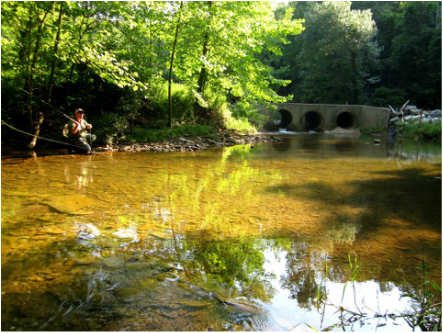 I often recall the night before Delaware's opening day of Trout season in 1979, this was my first opening day. My brothers and I sat in front of the T.V. the night before with a block of processed cheese the size of a car battery. Diligently we would pinch off small bits and roll them into a ball the size of a pea. We made sure our rods, waders and vests were all up to par and ready to go. The next morning the three of us, along with my dad, were up early and on the river well before the sanctioned start time. At all of nine years old the Red Clay looked huge and the amount of people crowded in each hole was overwhelming. I caught one fish that morning (actually my dad caught it, I just reeled it in) a 10" Rainbow Trout. I remember staring at the vivid colors of green, purple and silver and being in awe at the sight of "my" trophy. Something clicked inside me that cold April morning and now, over three decades later, I am still drawn to the beauty of all types of fish. A Machinist / CAD designer by trade, I have always worked "part time" in hunting and fishing related outdoor stores culminating in my managing Delaware's only full service fly shop from 2009 to 2014. An accomplished Archer, Wing-shot, and Rifleman, my true passion has always been with the fly rod, a passion I hope to pass on. Thank you for visiting the site, I hope you enjoy it.